Ichimura, T., Itoh, T.: 1977: 17. Preservation methods of microalgae (I) [17. Bisaisôrui no hozonhô (I)]. : In Preservation methods of microorganisms [Biseibutsu Hozonhô], Ed. by Nei, T., University of Tokyo Press, Tokyo, p. 355-373 (in Japanese without English title). Li, R., Yokota, A., Sugiyama, J., Watanabe, M., Hiroki, M., Watanabe, M. M.: 1998: Chemotaxonomy of planktonic cyanobacteria based on non-polar and 3-hydroxy fatty acid composition. : Phycol. Res., 46, 21-28. 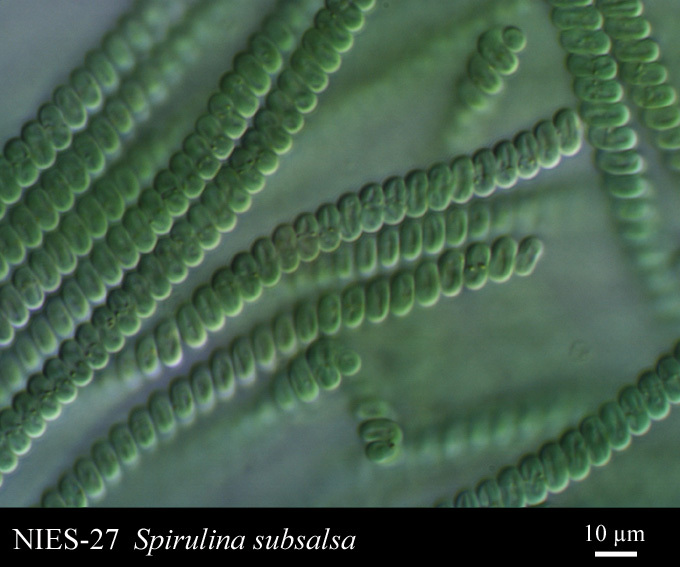 Ishikawa, I. S.: 1990: Characteristic structures of Spirulina trichome involved in gliding movement. : Plant Morphol., 2, 7-14. Ishida, T., Yokota, A., Sugiyama, J.: 1997: Phylogenetic relationships of filamentous cyanobacterial taxa inferred from 16S rRNA sequence divergence. : J. Gen. Appl. Microbiol., 43, 237-241. Honda, D., Yokota, A., Sugiyama, J.: 1999: Detection of seven major evolutionary lineages in cyanobacteria based on the 16S rRNA gene sequence analysis with new sequences of five marine Synechococcus strains. : J. Mol. Evol., 48, 723-739. Ishida, T., Watanabe, M. M., Sugiyama, J., Yokota, A.: 2001: Evidence for polyphyletic origin of the members of the orders of Oscillatoriales and Pleurocapsales as determined by 16S rDNA analysis. : FEMS Microbiol. Lett., 201, 79-82. Hirata, K., Phunchindawan, M., Tukamoto, J., Goda, S., Miyamoto, K.: 1996: Cryopreservation of microalgae using encapsulation-dehydration. : CryoLetters, 17, 321-328.